Do you want to learn more about bringing about peace to professions like government agencies, non-government organizations, and others? Rotary funds some of the world’s most dedicated and brightest professionals to study peace at Rotary Peace Centers at the University of Queensland (Australia), University of Bradford (England), and other places around the world. Through training, study, and practice, Rotary Peace Fellows become leaders and catalysts for peace and conflict resolution. Each year, fifty individuals are selected for the two-year master’s program and fifty for the professional development certificate. Tuition, fees, room and board, round-trip transportation and internship/field study expenses are covered through the Rotary International Foundation. If you would like to learn more about these peace programs, contact Doug Woodard, District 5500 Peace Fellows Chair dwoodardaz@concast.net, 520-404-1684 or visit RL website for Peace Fellows to learn more. Applications due to the District 5500 Peace Fellows Committee by May 1, 2019. Roughly 10 years ago, Rotarian Michael J. Harris of the Casas Adobes Rotary was debating ways to help small Rotary clubs take advantage of the Gates Foundation match for contributions to PolioPlus. For some time, Mike had also lobbied Perimeter Bicycling to allow Rotary to field a team in El Tour de Tucson as one of the ride’s “beneficiaries.” He thought that would be a great opportunity for clubs large or small. Mike could not have imagined what his pet project would become. Mike left us in 2011, but to date, the Ride has raised over $53.3 million. It is hard to know the impact of the Ride, but it is safe to say there are a lot of children walking around today that need not fear this terrible disease as a result of what the District has achieved. 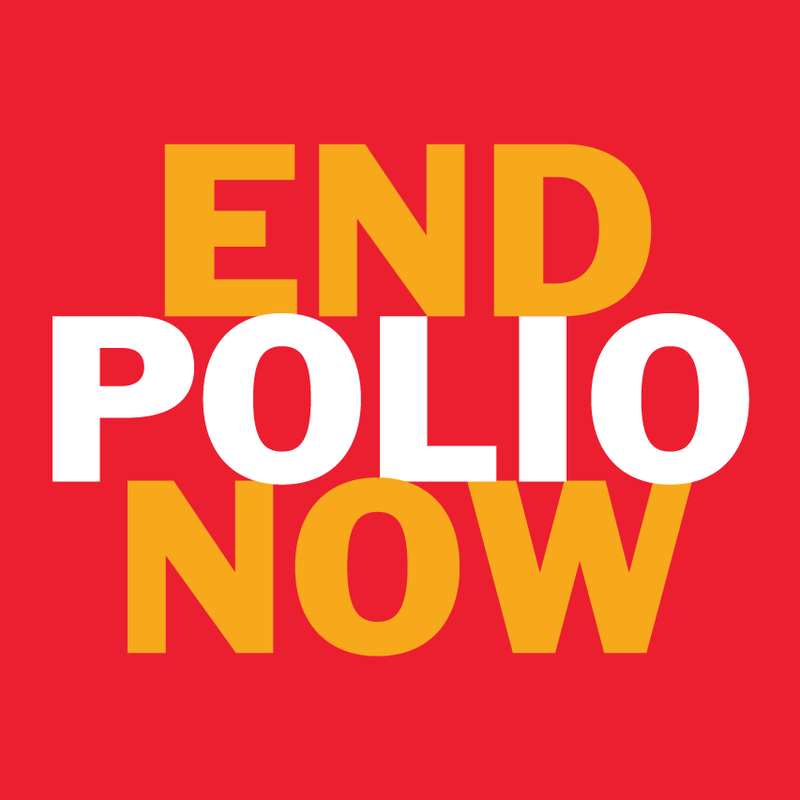 During the past decade, the Ride to End Polio has gained in popularity and notoriety. In 2012, Rotary General Secretary John Hewko joined the ride. Cyclists have joined us in Tucson from the Philippines, Germany, Canada, France, Brazil and Australia and from a dozen states. The Rotary Club of Marana’s fourth annual Tour de Cookie is the most fun you will ever have on a bicycle. This is a fundraising event for the many service projects that the Rotary Club of Marana undertakes annually. It is also a time when members of our community can come together for that most scrumptious of American treats: the cookie. When: March 9th, 2019. 8 a.m. - 12 p.m.
Where: Start at Rillito River Park, Tucson, AZ 85712. 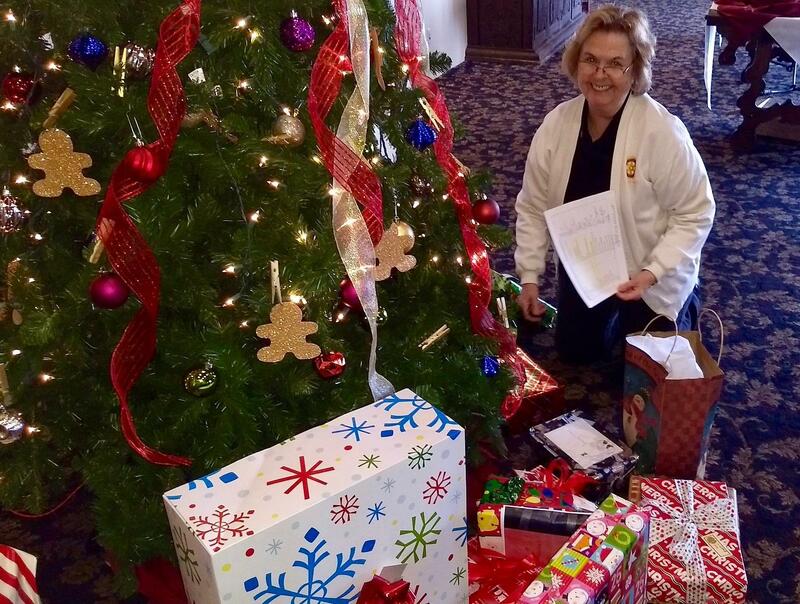 Making a list and checking it twice: That’s Tubac Rotarian Ginger Leavitt at the club’s 25th anniversary celebration, making sure all the gifts were ready for the Amado Youth Center’s Christmas gift exchange and dinner. Tubac Rotarians had plenty to celebrate last year, but three events helped wrap up the year on a truly festive note. On Dec. 15, the club celebrated its 25th anniversary with a get-together at the Tubac Golf Resort. Members from the club’s original sponsor, the Rio Rico Rotary Club, helped us celebrate as did officers from the District. The club participated in a gift exchange and dinner at the Amado Youth Center two days later where we helped wrap and distribute gifts and serve as waitstaff. No spilled trays! We finished off the holidays with a New Year’s Day Golf Outing to raise funds for the Amado Youth Center’s Building Fund. All in all, it was a great year. The Rotary Club of SaddleBrooke positively impacts our community by supporting local organizations that serve youth. Their main benefactor includes Little Hooves & Big Hearts, a local non-profit that helps seniors and children with special needs improve their lives through interaction with specially trained miniature horses. 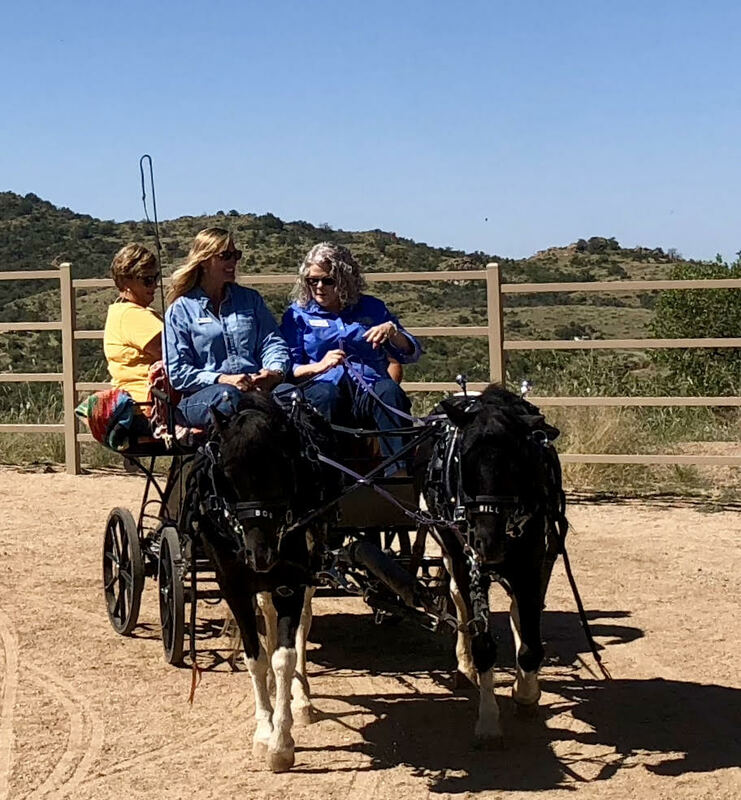 The SaddleBrooke Rotary Club toured the ranch and were given the opportunity to walk the horses one-on-one through a corral with an obstacle course. Some Rotarians were even given a ride in a wagon pulled by larger horses. Steampunk costume contest, fantastic nibbles from Vida e Caffe, and awesome prizes highlight a fun night out on February 23rd as Globe Rotary hosts its 4th Annual Dominion Royale casino night at the Cobre Valley Center for the Arts. Tickets are $25 each and available from Globe Rotary members. Call Cami Lucero (928-425-4444) with questions or for information. After the event, Globe Rotary uses funds raised to support local projects. Recent projects include Cobre Valley Youth Club, scholarships, and in collaboration with Miami Copper Cities Rotary: dictionaries for local 3rd graders. How Is Rotary Like a Neighborhood Grocery? A local grocery store clerk spoke to SaddleBrooke Sunrise Rotary Club about working as a cashier, comparing the goals of Rotary to the goals of a neighborhood grocery. Rotarians pledge to help a community through donations and work projects. S o do local businesses. Many support local charitable organizations benefiting children and families and education. Volunteers have helped children learn to read, assembled back-to-school kits, sorted toys, served meals to the hungry, and more. Sounds a lot like Rotarians! Whenever you’re in a grocery store, give your checkout clerk a warm hello. You’ll be paying forward to the next customer she or he helps cheer—just as Rotarians do when they step forward to make a difference. I thought we would be closer to eradicating polio today than we are. Unfortunately, there were more cases in 2018 than in 2017 (29 versus 22). I underestimated how hard it would be to vaccinate children in places where there’s political violence and war. This is a key reason why Afghanistan and Pakistan have never been free of polio—in fact, they are the only two countries that have never been free of polio. I spend a lot of time talking to the funders to make sure they continue their commitment even though eradication is taking longer than any of us would like. I remind them of the huge benefits of success, and the risk should we not finish the job. I also remind them of the difference that innovation is making. We’re now able to test sewage samples to track the virus and find the source before an outbreak. And the global health community is finding creative ways to work in war zones, having stopped outbreaks in Syria and Somalia in recent years. Finally, I am hopeful about a new oral vaccine being tested in Belgium and Panama. The results should be out in 2019. If this one proves effective, it would overcome some of the problems with previous oral vaccines when they’re used in places where few children are immunized. The new vaccine could be in use as soon as 2020. Tucson's annual gift to bookworms of all ages brings together authors, entertainers, and exhibitors for presentations, book signings, workshops, and panel discussions. The 2019 Festival runs March 2-3, 2019 and celebrates the written word by presenting an outstanding event focused on reading, writing and books, and all proceeds go to programs that support improved literacy and educational attainment in our community. This is free family event held on the University of Arizona campus. There are activities for kids, live entertainment, and food vendors as well as a storybook character parade, a Science City, and an American Indian Pavilion. This year’s Festival will include over 400 authors, 200 exhibitors, and 36 venues. Some of the authors featured are: Sandra Brown, Shane Bauer, Sigrid Nunez, Ed Asner and more. Much of the action takes place outdoors on the pedestrian-friendly University of Arizona Mall. General admission is free, but many of the most popular author panels and special events require advance tickets and sell out fast. 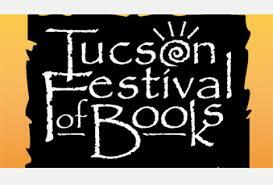 For more information, visit http://tucsonfestivalofbooks.org. Rotary Club of Tucson is sponsoring an all-inclusive Rotarian service project Saturday March 2, 2019 at the Triangle Y YMCA Ranch Camp from 8:30AM-3:00PM. The 5th Annual Rotary Days Service Project is open to all Rotarians and friends of Rotarians and families. There are jobs for all age groups and skill levels. Generally, we help spruce up the Ranch for the incoming summer camp session. In the past, we have painted cabins, stained wood beams, assembled and painted picnic tables, trimmed brush, painted the bathrooms, performed some small masonry work, and general clean up. Registration is Saturday morning 8:00-8:30 AM at the Ranch. Please email or call Dave Gallaher to let us know you are coming at dave@tucsonindustrialrealty.com or 520-907-4983. A free BBQ lunch will be served. Come for several hours or stay for just an hour. Please bring gloves and sunscreen and a water bottle. This is a good chance to mingle with Rotarians from all over Tucson. It is a great way to introduce Rotary to your friends and neighbors. The Rotary RV Round-Up at the Ranch begins at 6:00PM Friday night March 1 and ends on Monday March 4. The Rotary RV Fellowship website and sign up can be found at www.rvfnra.org. Come have fun at the camp facilities in your RV (dry camping available only) and do some community service work Saturday. For those who would like to do more, there will be leftover tasks for Sunday. Recreation near the Ranch includes visiting Peppersauce Cave (https://skyaboveus.com) , the Arizona Zip-Line (www.ziparizona.com) , Oracle State Park (http://azstateparks.com/oracle/) and the back side of Mt. Lemmon. Sign up for the RV Fellowship is necessary via the RV Fellowship website. Cost for the RV Fellowship weekend is $75.00PP+$25.00 registration fee. Membership is not necessary to attend the Fellowship but membership is available. The Sierra Vista Sunrise and Sierra Vista Noon Clubs teamed up to give the local Boys and Girls Club a snazzy teen room. Extensive tiling, painting and equipment additions made the room look brand new. Read more about this project by clicking on the below link to a nice article in the Sierra Vista Herald newspaper. Taste of Chocolate returns on Sunday, 7 April 2019 at the Doubletree Reid Park. Join Rincon Rotary club of Tucson to help judge a chocolate competition. Tickets are $45. To purchase tickets or for more information, visit www.tucsontasteofchocolate.org. If your club would like to sell tickets, contact wbtus@aol.com. The Marana Dove-Mountain membership had dwindled down to 10 members so they decided to be creatively proactive. First, they moved their meeting venue from a Retirement Community clubhouse to a pizza restaurant. Second, they planned a mixer at their new place. They prepared a flyer inviting people who wanted to be involved in improving their community. They sent the flyer to homes and businesses within a 5-mile radius of where their club meets, including the local Mayor and Council members. The Mixer attracted 30 attendees who were then invited to a social at the pizza restaurant. There, the club highlighted some of their projects and shared humorous videos about Rotary. They hope to gain 5 new members. Tucson Sunrise Rotary has six blackjack tables and about 70 stools to go with them that we would like to get out our storage unit. The tables are homemade, but nice and they fold for storage. Interested parties should contact Myron Donald at (520) 327-4893. RYLA continues to be exceptional. Barbara Harrison and her team of 30 leaders planned an amazing experience for 90 high school students over the Martin Luther King Jr. holiday. Once again, it was a truly life-changing weekend. The Rotary Leadership Institute on January 26 had 52 Rotarians enrolled: 35 in Level I, 11 in Level II, and 6 in Level III. RLI continues to be one of Rotary’s best-kept secrets. It’s a secret we’ll want to share with our club members! We now have 42 from our district registered for the Hamburg Convention. DGE Ellie Patterson’s District Dinner in Germany will be at the Hamburg Hofbrauhaus on Saturday, June 1. The 2019-2020 RI President’s theme, “Rotary Connects the World,” has been well received so far. The Southern Arizona Day of Peace on Saturday, April 6 is being sponsored by Rotary District 5500 in partnership with the Outward Bound Center for Peacebuilding in New York. We have a strong planning team of 6 Rotarians, 3 Rotaractors, 1 Rotary Peace Fellow, and 2 community members. District Awards Chair Virginia Juettner is building on the work of previous Awards Committees. We’re pleased that we will be recognizing many more clubs than in the past. Stay tuned for how your club can receive a district award this fall. Rotary Youth Exchange is on track for a new start in 2020-2021. Youth Exchange Chair Aimee Graves and DGE Ellie Patterson recently attended an intensive January in Tulsa, Oklahoma so that Youth Exchange can return in the future stronger than ever. 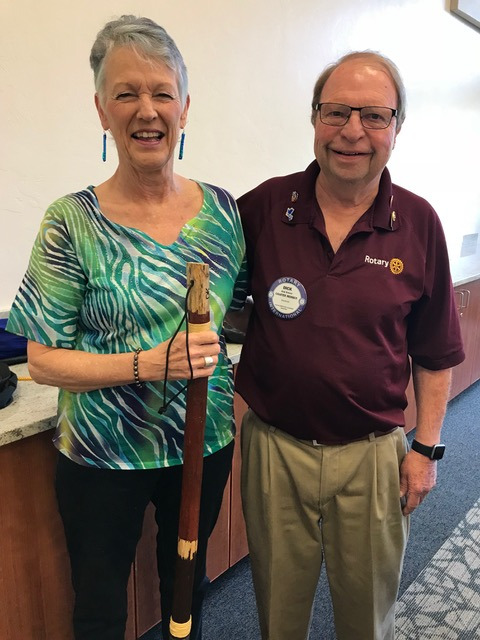 Membership Chair Sandy Wahl has prepared a helpful seminar, “Best Practices for Attracting and Engaging New Members,” and is available to travel anywhere in the district to work with Rotarians who are eager to see their clubs grow.